It was only yesterday that Finfeed flagged an imminent market moving development for mining minnow, Strategic Energy Resources (ASX:SER). However, what looked like it could be weeks away occurred in the afternoon as SER informed the market that an exploration licence had been awarded for a landholding 60 kilometres north-east of Oz Minerals (ASX:OZL) prolific Prominent Hill copper-gold mine situated in the Olympic Copper-Gold Province of South Australia. As the map shows, the awarded licence EL6335 is in prime territory, located in the Iron Oxide Copper-Gold (IOCG) corridor, home to some of the largest producing long life mines in Australia, including BHP’s Olympic Dam which lies to the south. Importantly, this region is far from being mined out despite being one of the hottest spots for big discoveries. 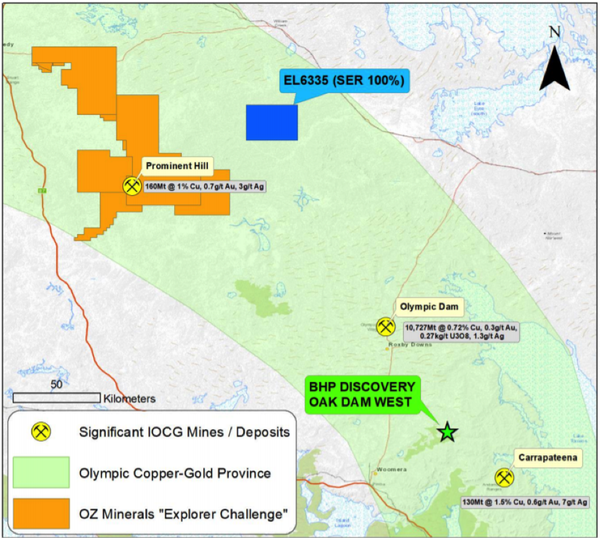 It was only late last year that BHP made the Oak Dam West discovery which lies between Olympic Dam and Oz Minerals’ other key asset in the region, Carapateena. A scoping study released in March indicated that this mine could produce up to 125,000 tonnes per annum of copper over a long mine life at a low cost of around US$0.95 per pound, implying a margin of US$2.00 per pound based on the current copper price. As we indicated yesterday, this area is renowned for low-cost mining due to the combined production of gold. EL6335 covers long-recognised coincident and offset gravity and magnetic anomalies. Consequently, SER’s newly awarded licence, now referred to as EL6335 “Billa Kalina” is likely to bring the company under the spotlight. This was certainly the case yesterday as the company’s shares surged more than 30% when the news was announced, and closed the day up approximately 16%. Interestingly, the area remains largely underexplored as the key geophysical anomalies in this region of the north-eastern Gawler Craton are mostly held by blue-chip companies such as BHP (ASX:BHP), OZ Minerals and Fortescue Metals Group (ASX:FMG). However, the following image of Gawler Craton shows key magnetic anomalies that are present in both BHP and SER’s landholdings. SER plans to conduct an infill gravity survey to further define the primary drill target followed by a single drill hole. Management is familiar with the area incorporated by EL6335, with staff having conducted a ground gravity survey at the location in 2014. SER’s landholdings in the IOCG corridor aren’t limited to the recently awarded licence. The exploration potential of the company’s Myall Creek holding was highlighted in November when its shares spiked on the back of BHP’s Oak Dam West discovery. 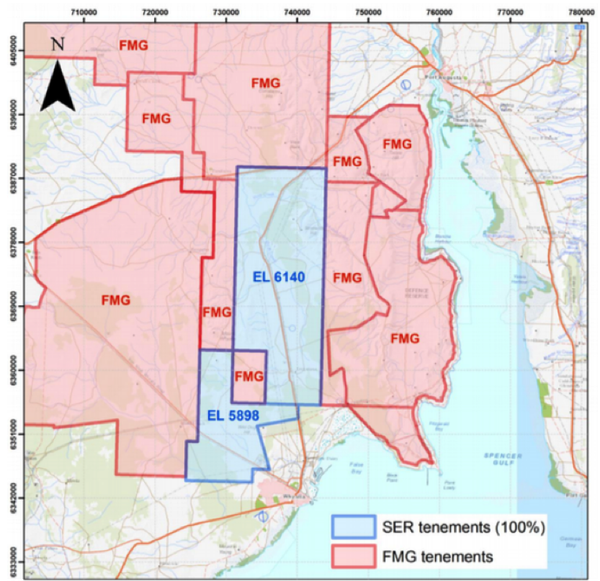 Management is keen to conduct a more comprehensive exploration program at Myall Creek, and this could be facilitated by a farm-in agreement or joint venture with the $25 billion Fortescue Metals Group (ASX:FMG), particularly given the holding is strategically positioned relative to the extensive landholding Fortescue holds in the Gawler Craton. As we indicated yesterday, should a proposal be forthcoming from FMG it may well spark interest from investors from two perspectives. 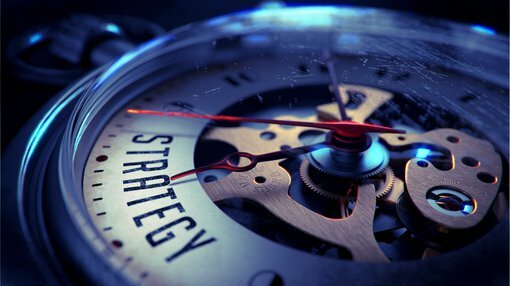 Firstly, it would be recognition by FMG of the potential value of the tenements, and should the mining giant decide to assist in funding exploration through a farm-in agreement or joint venture that would be both financially beneficial for SER and arguably result in the undertaking of a more comprehensive exploration program. Furthermore, it would assist in placing a value on both the tenement and SER, which has a seemingly heavily discounted market capitalisation of approximately $6 million.